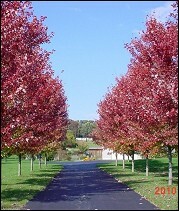 Chester County PA Trees And Bushes > Popular Trees And Bushes. 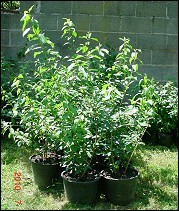 Forsythia Bushes are 2' to 3' tall and potted in 1 to 2 gallon containers ready for transplant. 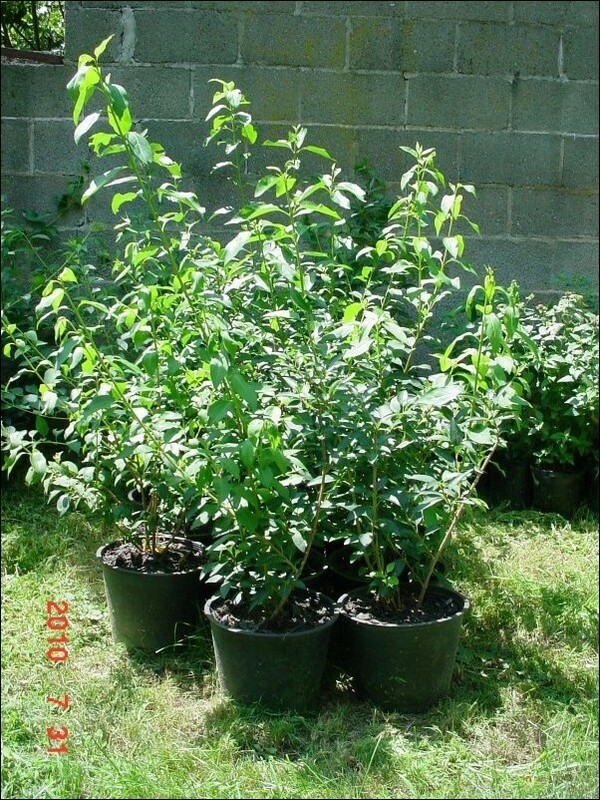 Forsythia bushes are fast growing and produce privacy, boundaries, and beauty rather quickly and within your lifetime. Forsythia bushes can be planted in quantity to create a hedge, bunches to add color to your property, or alone as a beautiful and colorful show piece. Forsythia bushes turn a brilliant or fluorescent yellow in early spring for about one month and then turn a hunter green and remain green until late fall or early winter. Very fast, upright growth to about 7 feet, spread of about 5 feet, one of the best plants for fast flowering screen, deep golden flowers in early spring, thickly and evenly distributed along the stems, ordinary to poor soil, can withstand adverse city conditions, easily pruned after blooming to maintain desired height and will bloom better next year, for hedge, plant 4 to 8 feet apart. 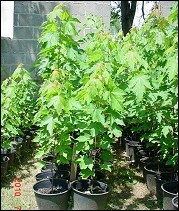 Autumn Blaze Maple Trees are 3' to 7' tall and some taller autumn blaze maple trees are planted in the ground and growing. 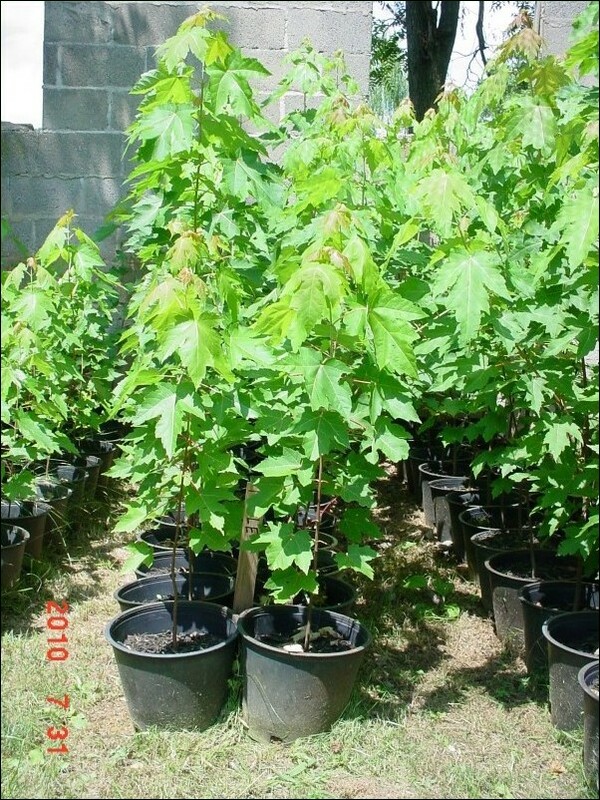 Autumn Blaze maple trees are fast growing, grow more in height than width and produce privacy, shade, and beauty rather quickly and within your lifetime. 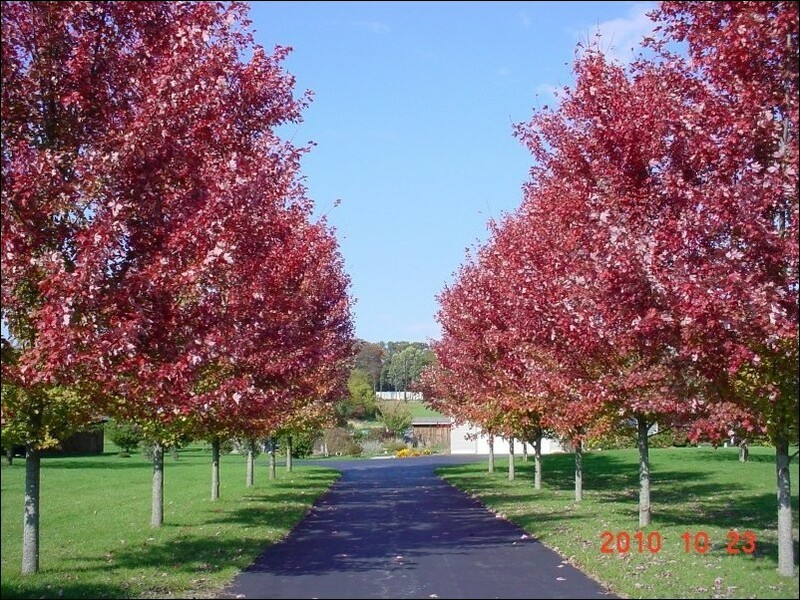 Autumn Blaze maples can be planted in quantity to line a driveway or property border or strategically placed just to admire their spring and fall colors and natural beauty. You can expect to see brilliant and fluorescent red leaves for several weeks in the fall. 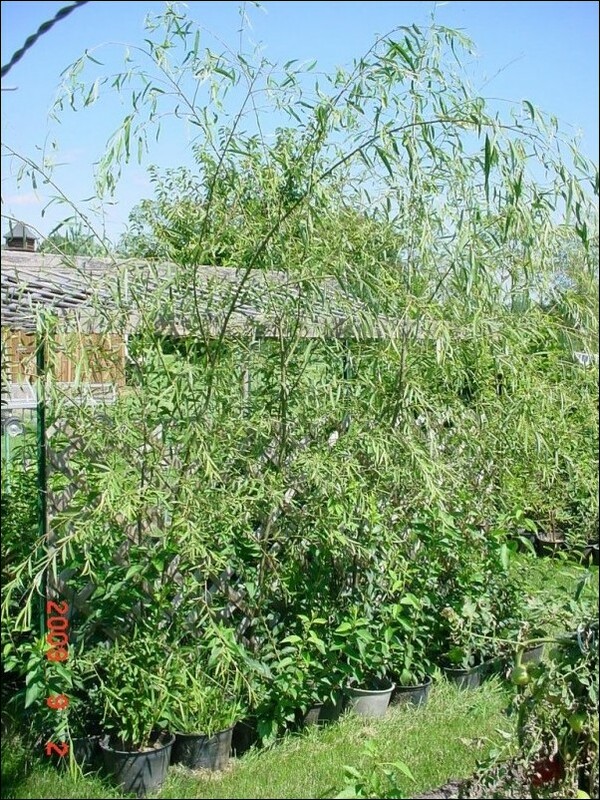 Weeping Willow Trees are 3' to 6' tall potted in 1 to 2 gallon containers ready for transplant and some taller weeping willow trees in the ground growing. Weeping willow trees are fast growing, prefer damp to wet landscape and provide beauty rather quickly to your property and within your lifetime. Weeping willow trees provide light shade and some privacy where background landscape is slightly visible.